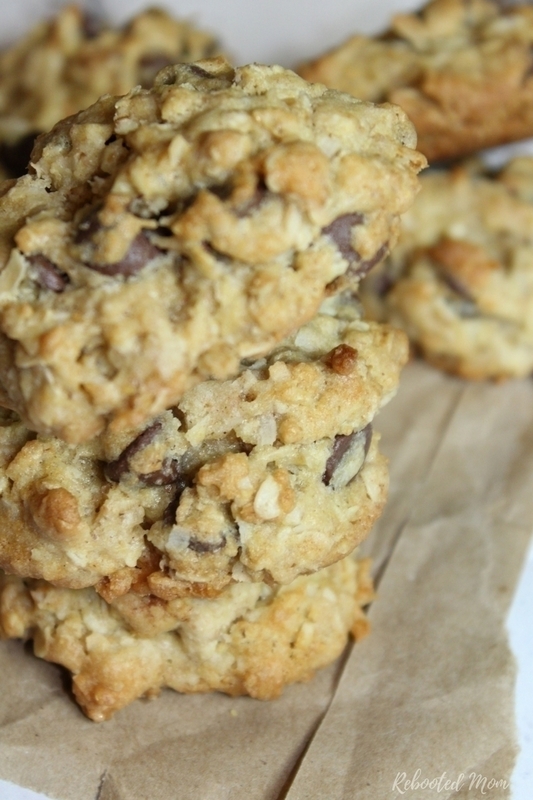 Lactation cookies are a great way to boost milk supply & help keep you nourished the first few weeks after labor and delivery. If there is anything that I know, it’s that after you give birth, your life becomes one of the most hectic. Between around the clock nursing, and your responsibility to care for the other kids, it can be incredibly difficult to find time to sit down and eat a meal. In fact, you might find yourself tired and irritable from those crazy nights of hourly nursing and trying to find the energy to finish laundry, clean and do housework. A new baby is definitely a blessing but can also find your way to near exhaustion too. 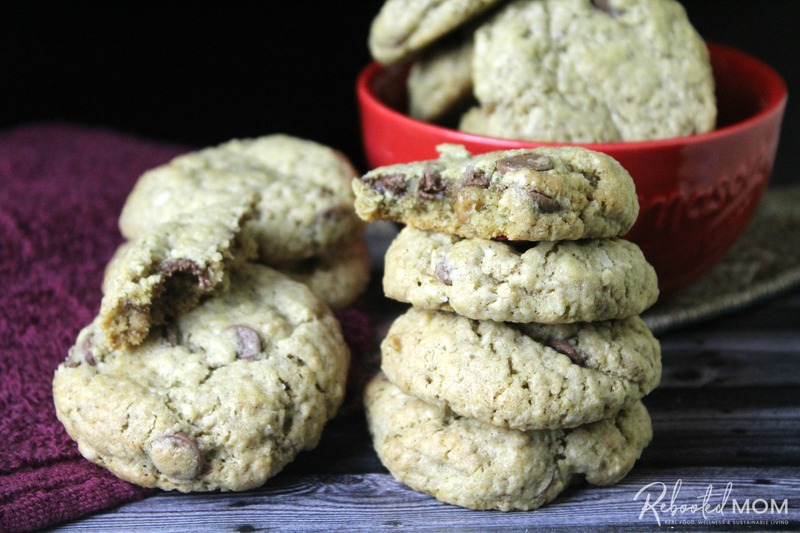 These cookies are full of ingredients to help keep your tummy happy and full, while also helping to boost your milk supply with oatmeal, flaxseed and brewers yeast. They are the perfect combination of soft and chewy, with a delectable sweetness that’s not too overpowering. I’ve been blessed to be able to breastfeed all 5 of my children, with the first one going just over 3 years. Not only did I breastfeed I also pumped to have extra milk on top of it all. Fenugreek and fennel essential oil were two of the very best friends a girl could have. This cookies rank right up with them. But more than anything, they are also a way to keep your body nourished during this critical time. If you don’t nourish and hydrate, then your body won’t be able to do its job effectively. Make these cookies a batch or two at a time and go a step further and freeze some of the dough for later on. Simply mix up the batter, portion into balls, and throw in a ziploc. When you are ready to whip up another batch, pull them from the freezer and place them on a baking sheet and voila! 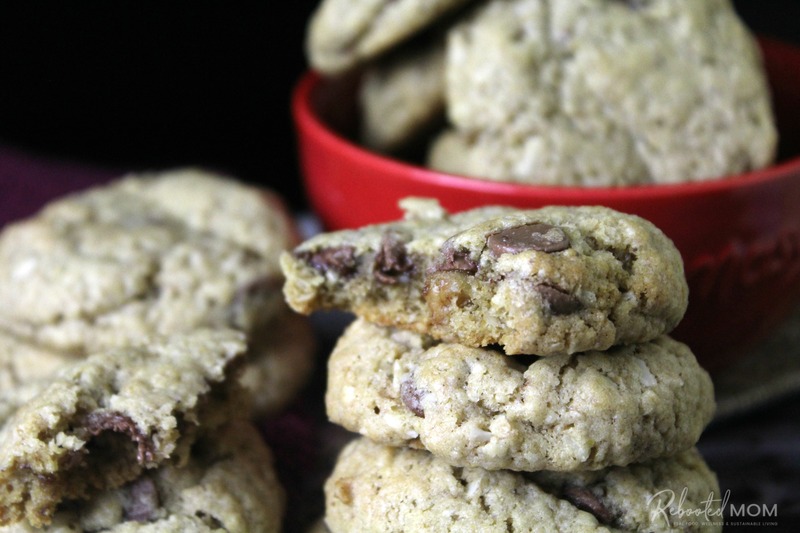 Lactation cookies are a treat for a new mommy ~ full of ingredients like brewers yeast and flaxseed meal, they are a great way to boost your milk supply and help keep you nourished the few few months after labor and delivery. In a small bowl, stir the flax and water - set aside. In your KitchenAid, cream the butter, sugar, eggs, and vanilla on high until cream. Stir in the flour, yeast, baking soda and powder, cinnamon, and flax mixture on low just until incorporated. 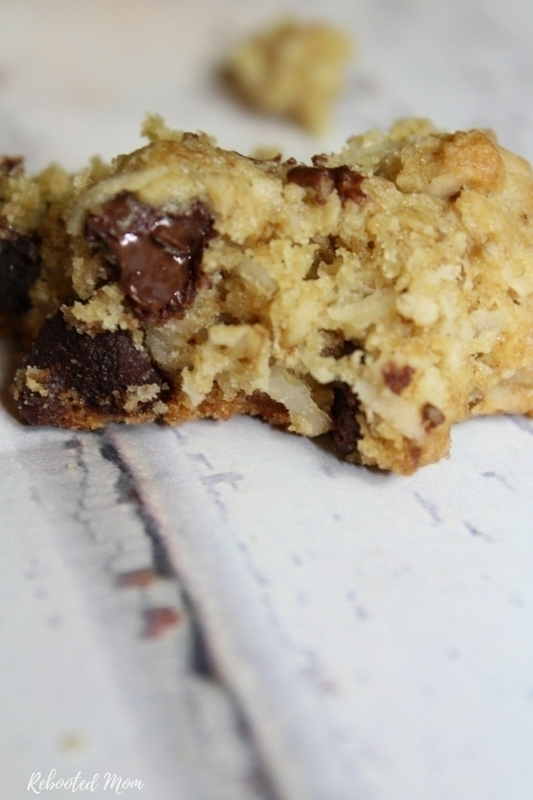 Gently fold in the oats, chocolate chips, and coconut just until incorporated. Scoop onto rounded mounds on a baking sheet lined with a baking mat, parchment paper or foil. Use your palm to flatten each cookie dough mound slightly. The cookies will not spread much during baking so use your own preference to flatten to your liking before baking. Bake for 9-12 minutes at 350 until the edges are lightly brown - remove and allow to cool before removing from the baking sheet. Store in a covered container. 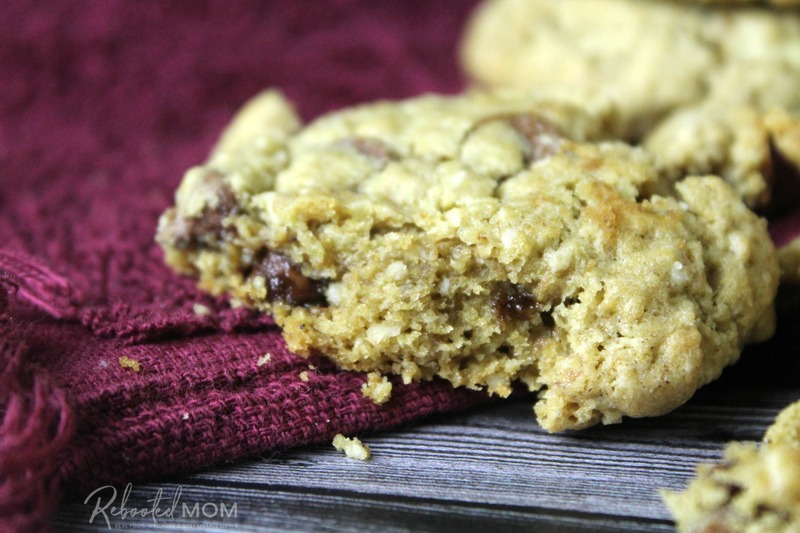 Share the post "Oatmeal Chocolate Chip Lactation Cookies"